The following describes how to quickly build your site in Remixer. Click the blue Grant Access button to open Remixer. 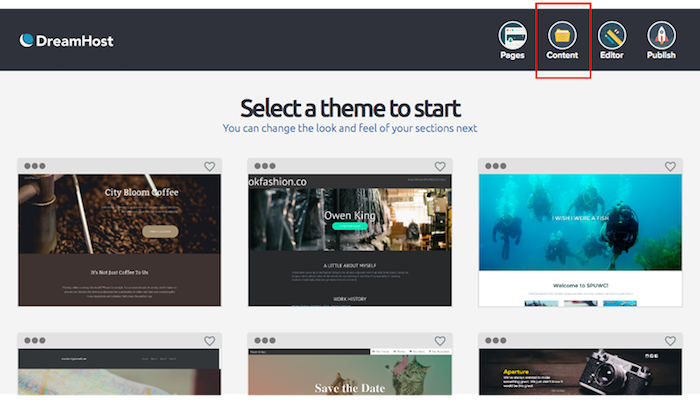 After you grant access, the main Remixer page opens where you are prompted to “Select a theme to start”. You can change the look and feel of each section by placing your mouse over any of the listed themes. Within each theme, you have the option to either “Preview Theme” or “Select Theme”. When you click the 'Preview Theme' link within a theme, a page opens that shows you the theme in a desktop, tablet, or mobile version. 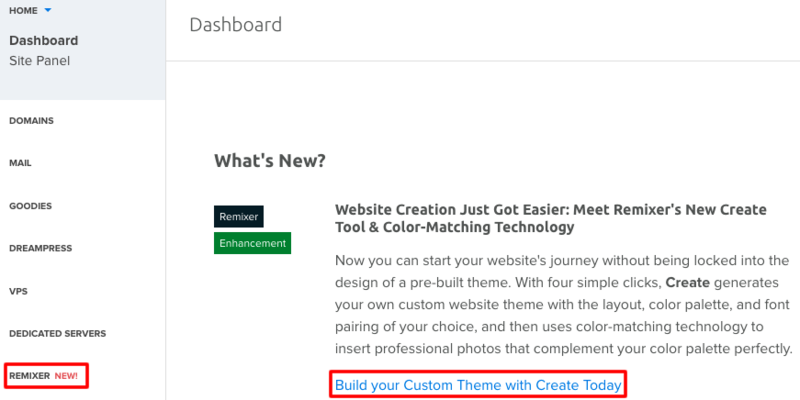 When you click the 'Select Theme' link within a theme, a page opens that allows you to edit the various sections within the theme. Themes are divided into several sections, which are called 'Web Sections'. Each 'Web Section' has a specific function. After selecting the theme you wish to use, you are then able to edit that virtually any item within the theme itself. When you select text, the selection area turns to a blue highlight which you can click to update.